Have you ever wondered if a pre-engineered steel building is right for your facility expansion or new construction project? Fiegen Construction is a certified Butler® Builder with Career Builder status. Our clients have experienced the numerous intrinsic advantages of Butler Building Systems. With Butler’s design flexibility, various exterior finish options, and longbay structural systems that create large areas of uninterrupted space to maximize productivity, any industry can benefit from a Butler Building System. We’ve asked Jarrett Hallvin, Project Manager at Fiegen Construction, to better explain the value of partnering with Butler Manufacturing on your next project. Tell me about your experience in the construction industry. How long have you been with Fiegen Construction? I graduated with a degree in Construction Management and completed several internships while in college. I started as a Project Manager at Fiegen Construction in 1996. After two years, I moved out of state and joined another construction company, staying with them for nine years. They were a Butler Builder and during my tenure, I created relationships with Butler representatives and experienced the quality of their product. In 2007, I returned to Fiegen and have been a project manager since then. Can you tell me about the Butler Builder awards Fiegen Construction was won? We have been awarded numerous volume sales awards, including the Million Dollar Builder Award and the Butler Career Building Award in 2015. Why did you choose to work with Butler rather than a competitor like Ceco, Varco Pruden, or Metallic? My initial success with Butler and experience with their systems was phenomenal. Their MR-24® roof system and capability for custom designed buildings have been indispensable for our clients. In the construction industry, their name is synonymous with quality and innovation. Our team strives to provide our clients with the highest-quality construction and Butler Building Systems ensure we reach our goals. What is the process in selecting a Butler Building System and how does Butler make that process easier? Typically, our clients have already decided to expand their current facility or to construct a new building. The Butler design software allows us to come up with an initial concept and pricing. If design changes occur, we can easily adjust the plans in the software. The software’s flexibility means that we don’t have to bring in an additional engineer, saving our clients both time and money. Once the plans have been finalized, Butler manufactures the building based on our custom specifications. Additionally, Butler structural steel is precision engineered using state-of-the-art computer modeling which facilitates faster assembly in the field. Compared to traditional construction, the cost- and time-savings of Butler Building Systems can’t be beat. What are your most recent Butler projects? We have recently completed three Butler projects. Sanford Health commissioned an 86,000-square-foot fieldhouse, pictured above, that includes their sports medicine offices, training equipment, and turf fields for year-round soccer, football, and baseball. The use of Butler pre-engineered steel allowed us to complete this project in just six months. 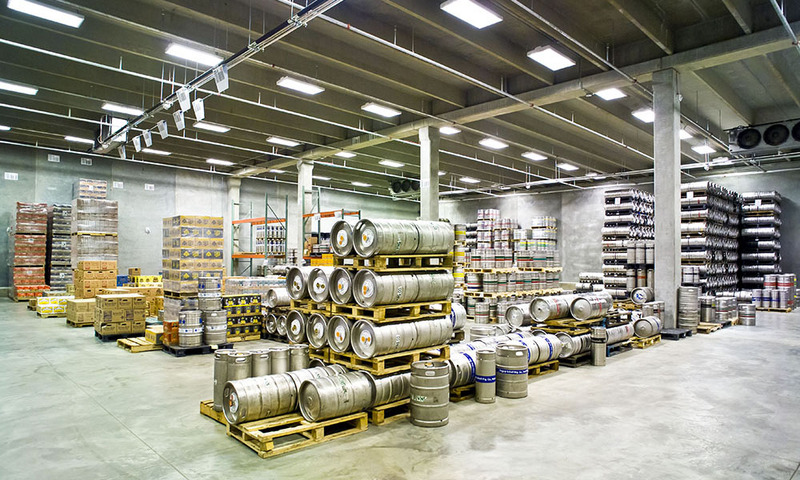 Dakota Beverage, pictured at left, is a new, 100,000-square-foot warehouse and distribution center for Miller-Coors products. Located in Sioux Falls, the building features a structural steel frame and a prefabricated concrete exterior with custom barley sheaf inlay. We also constructed the Sanford Health AirMed and Maverick hangars at Sioux Falls Regional Airport. Sanford AirMed, pictured top, is a critical care air ambulance service providing helicopter, fixed-wing, and ground ambulance transports throughout the region. The 36,000-square-foot structure houses two hangar bays with sliding doors and office area with a mezzanine. 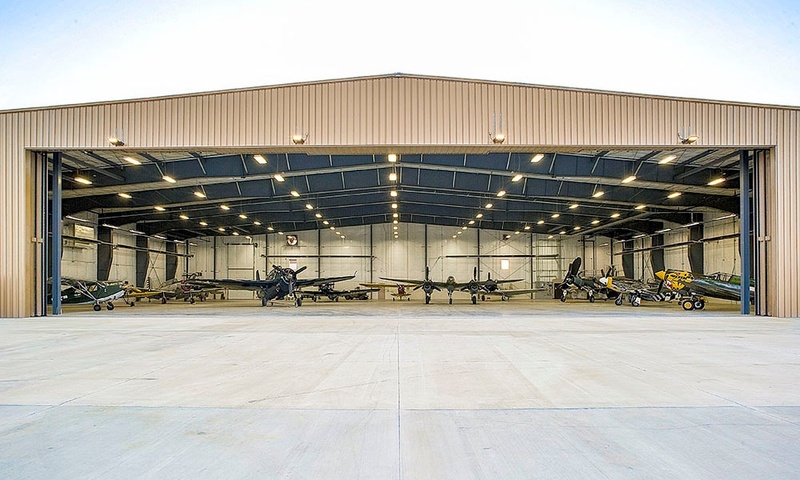 The 30,000-square-foot Maverick hangar features a 200-foot clearspan and a single 120-foot-by-27-foot sliding door. Who do you see as the ideal client for a Butler Building System? Any client who is looking for high-quality, low-maintenance steel structure that will stand up to weather and use for many years to come. The quality and design flexibility set Butler apart from the competition. I think any client is ideal for the Butler Building System, regardless of their industry. What is daylighting and how has it been utilized in your recent projects? Daylighting is a construction technique that incorporates clear roof panels, allowing natural light into a building. Butler's SunLite Strip® Daylighting System is compatible with their MR-24® roof, thereby reducing electrical consumption and costs for our clients. Whether constructing a new building or expanding a current facility, our clients can take advantage of daylighting benefits. What is your most memorable Butler project and why? 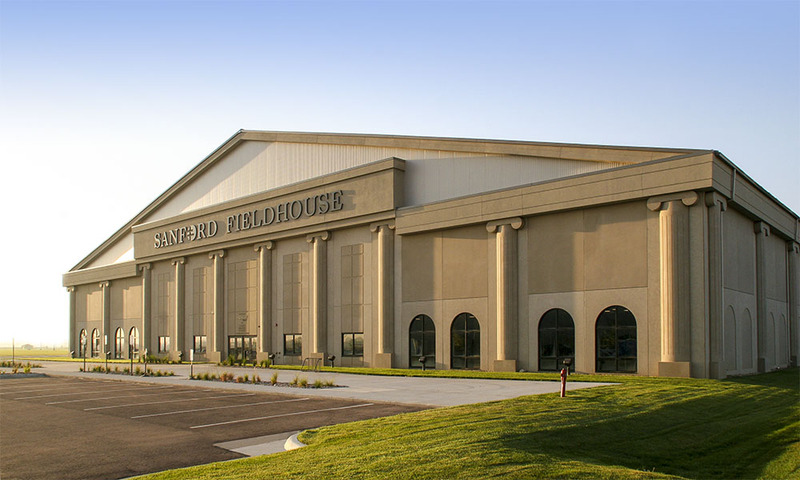 My favorite Butler project is the Sanford Fieldhouse. Our team has worked with Sanford Health on numerous projects and we value our relationship with them. This project featured a 216-foot clearspan length and a peak height of 60 feet, making it a perfect example of the capabilities of a Butler Building. Additionally, the exterior is constructed of pre-cast concrete designed to emulate the Roman Colosseum. We were all very proud to complete this project in just six months.